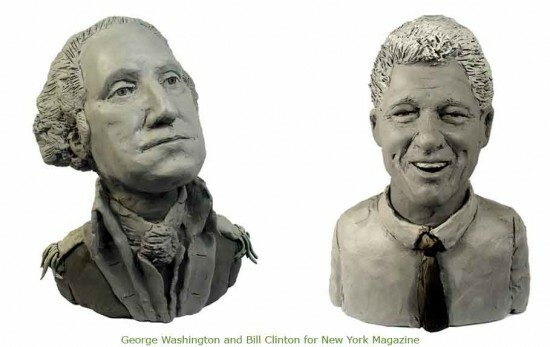 Leicester-born Karen Caldicott is currently living in the New York area, where she stays busy creating plasticine portraits of celebrities. Well-versed in a multitude of styles, Karen has found a niche rendering various celebrities in plasticine, and her skill and dedication landed her collaborations with established publications such as the New York Post or Fortune Magazine. 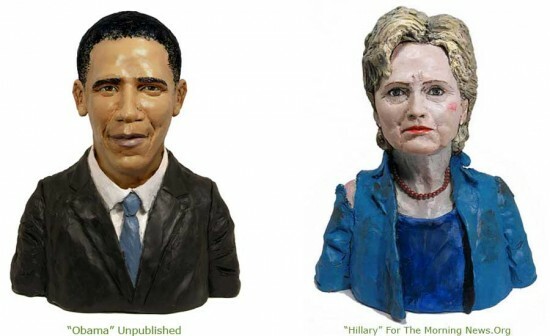 She bases her three-dimensional seven-inch plasticine busts on photographs of the celebrities taken from different angles, and then shapes and carves away the clay until it looks like she intended. 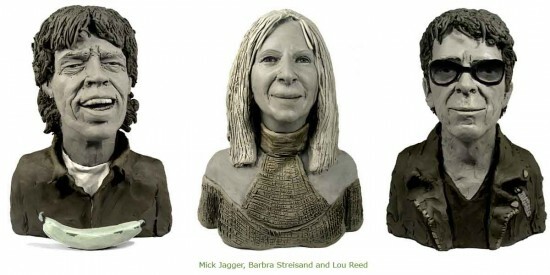 So far, Karen Caldicott has created plasticine illustrations of all sorts of celebrities, from President Barrack Obama, to rock legend Mick Jagger and even Apple CEO, Steve Jobs. 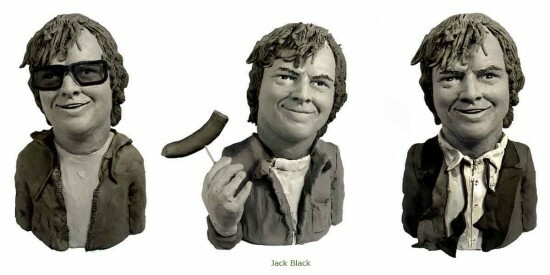 But she also does commissions, so if you fancy a clay bust of yourself, contact her via her official blog.